Saturday, October 4, 2014, was my mom’s 90th birthday. She couldn’t believe it, and her three youngest children – that would be me, my younger brother, Chris, and my younger sister, Alice ( basically the second set of her six children) were able to be with her this birthday weekend. So, Saturday was a pretty special day. Happy Birthday, Mom! I’m planning on living until I’m 90 and way beyond that, and I’m plan on being vibrant and full of vim and vigor! I plan on living my life medication free. My mom’s not so lucky. When I was a little girl, I remember having to be at home, a lot, due to terrible chest colds and pneumonia. I hated missing school. I’d become so ill and cough so much, I’d have to be admitted to the hospital and placed under an oxygen tent. I have scars on my lungs from those coughing episodes and my teeth became stained from the tetracycline antibiotic I was prescribed. I was a tiny, weak, sad child when I was little. One time when I was home from school, I was so sick I couldn’t even get out of bed. That day I also witnessed my mom’s debilitating pain from her arthritis. I knew that she often times was bedridden from the pain, and that day I saw her drag herself down the long hall from her bedroom to the phone in the living room to call my Gramma to come help us. Her pain was so excruciating that she couldn’t even crawl on her hands and knees, she had to drag herself on her side. I witnessed her chronic pain and how it changed her personality many times growing up, and even after I left home. I never wanted that kind of pain in my life. The kind of pain that dictates how you feel and how you treat people – even those you may love. So when I started suffering from pain several years ago, I was devastated. I was taking my fair share of anti-inflammatory pain medication yet my joint pain continued, and then I was having trouble walking, and then one day I couldn’t lift my left leg any more. I saw a doctor who diagnosed me with sacroiliitis, which basically is an inflammation in the sacroiliac joint, located on either side of the lower spine that connects to the iliac bone in the hip. It was being caused by the inflammatory condition from the degenerative arthritis in my spinal column. I was treated with an epidural steroid injection which was very painful; and after it was performed, only gave me minimal help. The “pain in my entire body” just wouldn’t go away. That’s when I started on my mission to have a healthier life. To take back the control of my life. I had to lose the weight that was causing the stress and strain on my joints. I had to find a way to eliminate the inflammation in my joints without taking medication because the medication I was taking made my stomach hurt so bad that was becoming debilitating as well. One year, I was planning to visit my son, Sean, who had just started college in Connecticut; and I was in so much stomach pain, I almost had to cancel my trip. My pain was truly starting to rule my life. No way. So I started searching how a better diet might help eliminate the inflammation throughout my body. Removing refined sugars, getting off processed foods, basically eating more healthy so I could lose, for good, the awful weight that was holding me back from doing things that I loved, like exercising, hiking, being with my family and acting on stage – holding me back from being happy. That’s when I discovered Dr. Fuhrman’s book, Eat To Live, kicked my addiction of over-the counter pain meds, my addiction to sugar, my addiction to cheese. I started to drop the weight without even trying and reached my desired weight of 135 pounds which I’ve been able to maintain on the nutritarian diet for nearly three years now. Being vibrant in my later years will be easy if I continue following the nutritarian diet. I’m never hungry and except for a few supplements, like Vitamin B-12, Zinc, and Vitamin D-3 I’m off all medications. 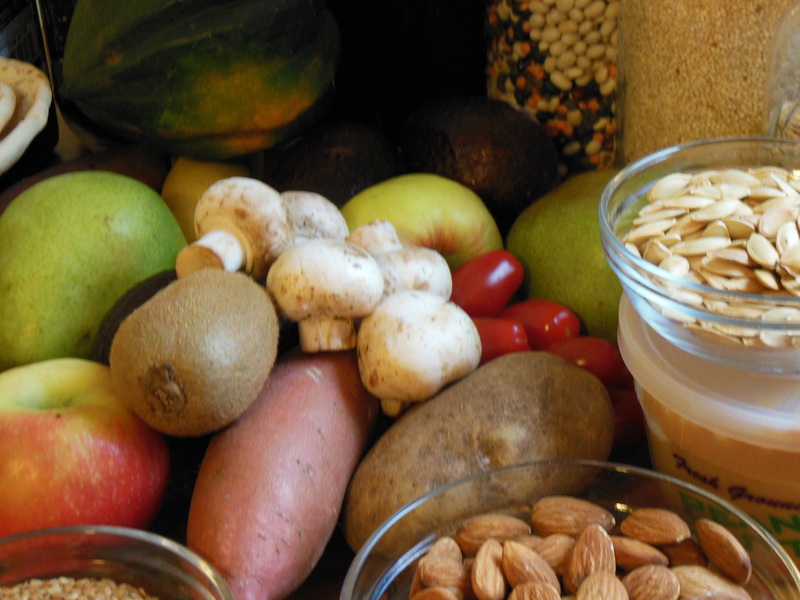 As I mentioned a couple posts ago, Dr. Fuhrman created the word, Nutritarian to describe his recommended diet which concentrates on eating micronutrient rich foods. A Nutritarian diet is guided by nutritional quality. It’s a way of eating based on food choices that maximize the micronutrients per calorie. 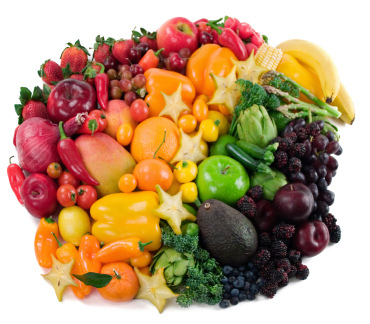 A nutritarian eats a variety of real food choices – colorful vegetables and fresh fruits – colors from the rainbow – lots of greens, berries, onions, mushrooms, nuts and seeds which deliver a broad array of micronutrients – packed with powerful disease-protecting and therapeutic effects. When eating nutritarian it’s not sufficient to merely cut out fats, consume foods with a low glycemic index, lower your intake of animal products, or eat a diet of mostly raw foods. A truly healthful Nutritarian diet must be micronutrient rich and the micronutrient richness must be adjusted to meet individual needs. To help visualize the H = N/C equation and make it practical, Dr. Fuhrman created the aggregate nutrient density index, or ANDI – a scoring system that rates foods on a scale from 1 to 1000 based on nutrient content. ANDI scores are calculated by evaluating an extensive range of micronutrients, including vitamins, minerals, phytochemicals and antioxidant capacities. The Whole Foods Market grocery stores even uses it to illustrate which natural foods have the highest nutrient per-calorie density. ANDI ranks the nutrient density of many common foods on the basis of how many nutrients they deliver to your body for each calorie consumed. It also helps you visualize how nutrient dense green vegetables are and how foods compare with one another in nutrient density. The highest ANDI score is 1,000. The higher the ANDI and the greater percentage of those foods in your diet, the better your health will be. Here’s the ANDI chart. How do the foods you eat rate? Remember, the ANDI ranks the nutrient value of many common foods on the basis of how many nutrients they deliver to your body for each calorie consumed. Food labels only list a few nutrients; however ANDI scores are based on thirty-four important nutritional parameters. Foods listed are ranked on a scale of 1-1000 with the most nutrient-dense cruciferous leafy green vegetables scoring 1000. The ANDI demonstrates the nutritional power of green vegetables, especially compared to processed foods and animal products. When eating a nutritarian diet, while attention should be placed on the nutrient rich foods, it’s very important to achieve micronutrient diversity, so be sure to eat a adequate assortment of lower ranked plant foods to obtain the full range of human requirements. It’s all about variety. Fuhrman recommends that people consume mostly foods that have an ANDI score greater than 100. But be sure to enjoy the many healthy foods under a score of 100. Think of it as eating from the rainbow! It’s what you eat over a course of a week, a month, and into the years. So, take a minute to evaluate the quality of what you’re currently eating. Learn what foods you can eat more of or start adding to your meals. You’ll be glad you did!